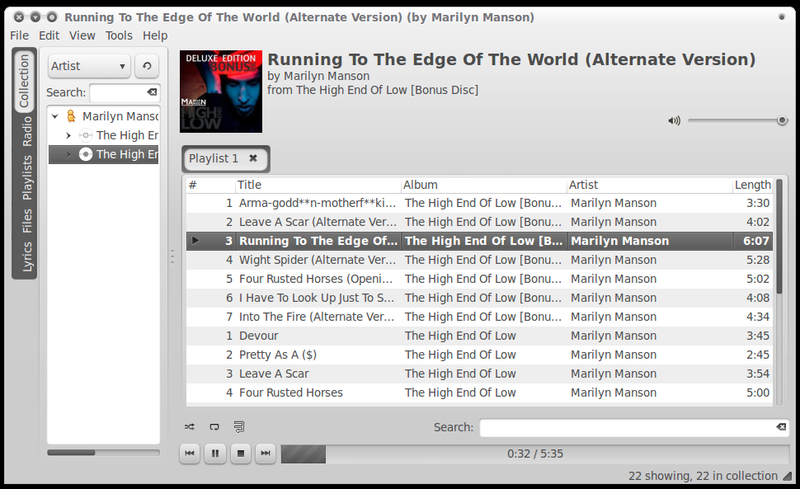 Exaile is a very good music player alternative for Linux. Exaile is nimble and can handle large music collections without any problems. Exaile 0.3.2.1 was released a day ago. Exaile 0.3.2.1 is a bugfix release for version 0.3.2. Exaile 0.3.2.1 is a big fix release and hence the changes included are largely minor. The shoutcast plugin has been removed from the default install, as shoucast has changed their API and the new terms of service are not compatible with our license. The default lyrics provider was changed to lyricwiki, as lyricfly no longer works properly. A bug preventing files from being added via the CLI was fixed. How to Install Latest Exaile 0.3.2.1 in Ubuntu Maverick, Lucid via PPA? You need to do the following in Terminal. Done. Now goto Applications - Sound and Video - Exaile Music Player. Exaile is an incredibly good music player for GNOME. If you are in search of similar alternatives for Rhythmbox and Banshee(the new default music player in Ubuntu Natty), two other music player you need to seriously consider are DeadBeef and Clementine 0.6. Also, check out this collection of 18 useful applications to install in Ubuntu.